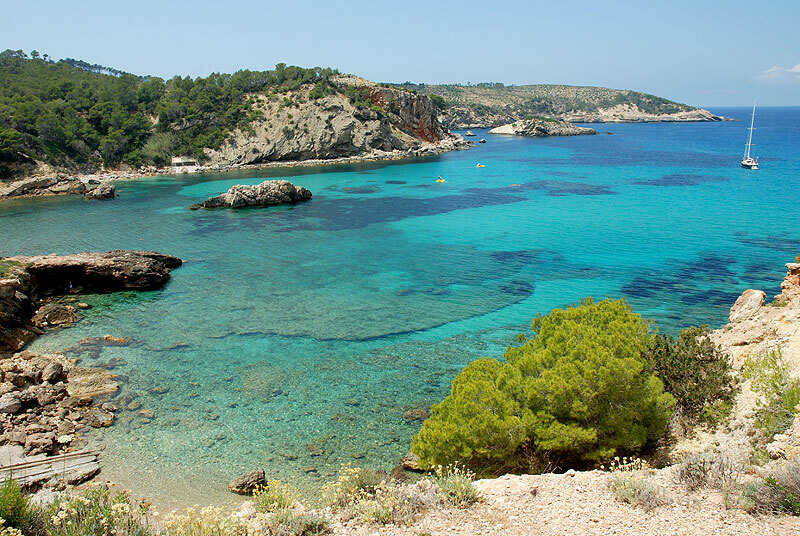 Sant Antoni de Portmany is a city on the west coast of Ibiza, one of the Spanish Balearic islands. It is known for its vibrant nightlife and the large natural harbor, the bay of Sant Antoni. The seafront stretches from the port to the beaches of S'Arenal and Es Pouet, both with calm and shallow waters. Between the two beaches is located Sa Punta des Molí, heritage of humanity, where there are a windmill, a press for olive oil and a small botanical garden.